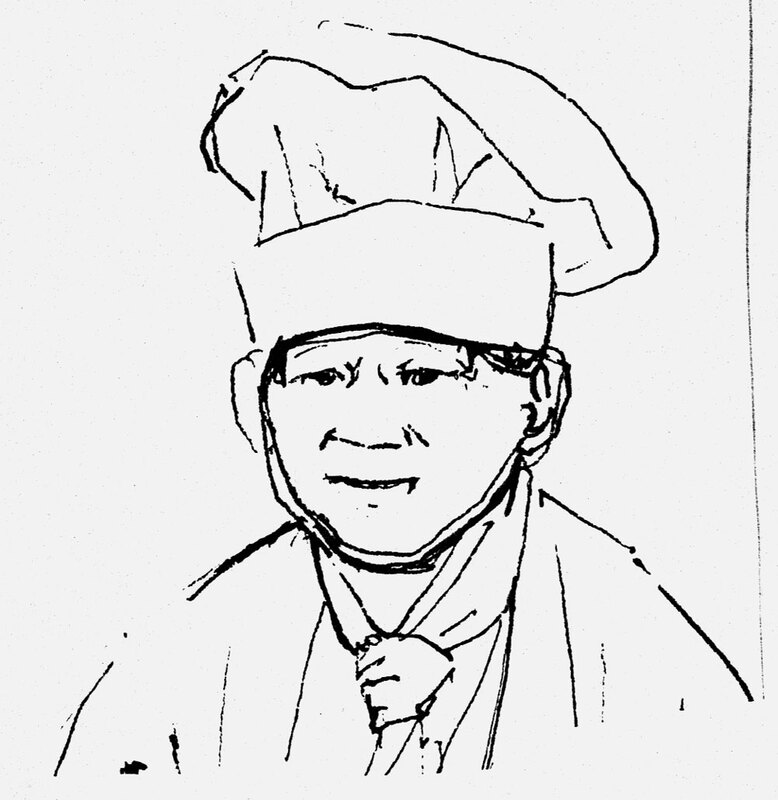 description A warmly humorous head-and-shoulders line drawing, swiftly executed in pen-and-ink, of a diminutive Lyons Corner House chef, seen in full face view, smiling, and almost dwarfed by his traditional 'toque blanche' hat. literature ed., B. Planskoy, 'Eva Frankfurther 1930-1959: Paintings, lithographs and drawings' (London: Peter Halban, 2001), illus. p. 13.